From 8th June – 28th July I’ll be part of the Glitch Moment/ums exhibition, curated by Rosa Menkman & Furtherfield, at Furtherfield Gallery. Glitch art subverts the way in which we are supposed to relate to technology, causing playful, imaginative disruptions. It is a low-tech and dirty media approach with a punk attitude. These artists appropriate the medium and forge expressions that go beyond what the mainstream art world expects artists to do, it is unstoppable – it is Glitch Moment/ums. I’ll also be doing a short performance on Saturday 8th June, 3pm, at the gallery. 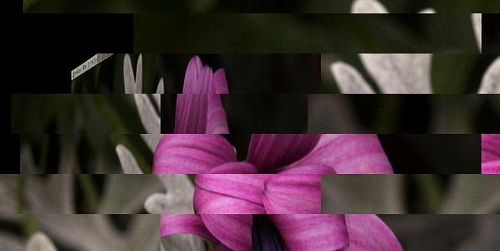 Glitch artists and enthusiasts are invited to add their work to GLI.TC/H 0p3nr3p0.net, a Glitch Art repository coded by and developed by Joseph ‘Yølk’ Chiocchi & Nick Briz. The submissions will be showcased during Glitch Moment/ums at Furtherfield Gallery. To include your work in the 0P3NR3P0 component of Glitch Moment/ums submit a link to any visually wwweb based file (html, jpg, gif, youtube, vimeo, etc.) and your piece will automatically be included in the line-up (one work per artist). This new IRL exhibition has been organised in collaboration with Nick Briz and Joseph ‘Yølk’ Chiocchi.